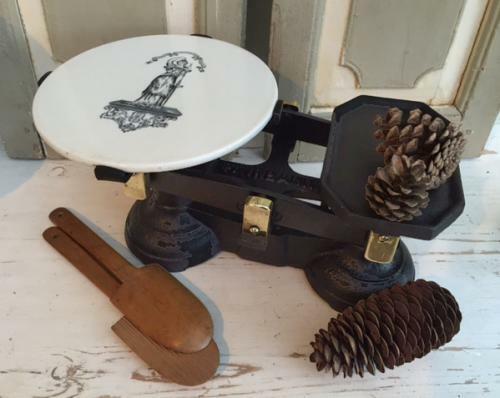 Antique China Pan Butter Scales. Good condition with china pan with b/w decoration in excellent condition. Brass fittings to both sides. Includes brass weights shown.